Yesterday, at about 11am EST, a hashtag started trending on Twitter: #Facebookdown. The social media site and its sister, Instagram, were suffering an outage. Some users weren’t able to log in to their accounts at all while others were experiencing limited functionality. It was the worst disruption to the platform since 2008 when Facebook user numbers were 150 million – compared with 2.3bn monthly users currently on the social network. During and after the outage, speculation was rife about a cyber-attack. After all, the social network has had a bad year that has seen it be a victim of several successful hacks and data leaks. Much of the speculation centres around whether Facebook could have been the victim of a distributed denial of service (DDoS) attack, where a website is taken online because an attacker is flooding it with traffic. Facebook strongly denies this. But what else could it be? Suggestions range from a simple misconfiguration error, to a planned cyber-attack by a malicious actor. Only time will tell the real reason for the outage, but experts don’t dismiss the idea that a malicious actor could be at fault. “Despite initial reports that the issues at Facebook and Instagram have been caused by an overloaded data server, there is still every possibility that these outages could be the result of malicious actors,” says Dr Max Eiza, lecturer in computing at the University of Central Lancashire. Dr Eiza points out that it has previously “taken weeks” for tech giants to own up to the fact that system outages have been the result of DoS attacks (something which Facebook strongly denies). However, says Dr Eiza, until a full investigation has been conducted, it’s impossible to rule this out. Edward Whittingham – a former police officer and qualified solicitor, who is now the MD of The Defence Works – is yet to be convinced by Facebook’s denial. “Facebook have flat out denied that their outage could be caused by a distributed denial of service attack but I’m yet to be convinced – especially given their very vague explanations,” he says. Indeed, Whittingham says the outage “has all of the hallmarks of a DDoS attack”, given that the sole purpose of these types of attacks is to bring down entire websites. So, who would want to attack Facebook? If it was a cyber-attack, there are a number of potential threat actors who could be responsible, Dr Guy Bunker, CTO at Clearswift says, including nation-states or a group sponsored by a nation-state. “There has been a lot of media attention on Facebook (and others) over their influence in politics with voting. Taking down the Facebook network shows just who is in control – and in this case, it isn’t Facebook. However, there is no (current) sign that this was a cyber-attack,” he points out. Christopher Moses, director intelligence and investigations at Blackstone Consultancy says the chance that it suffered a massive DDoS “is remote but not impossible”. It’s not a surprise that speculation is rampant about a security issue, given Facebook’s previous track record. But Tim Mackey, senior technical evangelist at Synopsys suspects the real reason “will be more mundane”. Alternatively, he suggests it could have also been a reaction to something seen, such as someone attempting to breach the network – “where the decision was that it was better to take the network down to resolve the issue rather than have a potential breach”. Of course, it’s impossible to answer the question definitively. But what’s always important in cases such as these is transparency. Facebook has been shady in the past with multiple accusations that it is abusing user data. It’s therefore important that it does update users with the reason for the outage, with specifics, as soon as it has completed its investigation. Cybersecurity is often seen as one of those big problems that only large entities like banks, tech companies, and governments have to worry about. In reality, a lot more people should be concerned with cybersecurity and not just big corporations. The latter may be indeed responsible for more data. Still, it is the smaller entities, such as companies with less than 1000 employees, that are at the greatest risk. If a robbery took place and the perpetrators got away, how much of a head start do they have if they want to cover their tracks? A day? An hour? Cybercriminals often get a neat 6-month head start, which makes tracking them down that much harder. There were 8,854 recorded breaches between January 1, 2005 and April 18, 2018(Source: Identity Theft Resource Center). These breaches account for millions of records, with the price per record ranging anywhere from $120-$600. If we average these out at $360 per record, then the total price of these breaches is in the billions. People talk about the cost of cybersecurity, but they seldom think about the cost of not having it. In 2017, 61% of data breach victims were companies with less than 1000 employees (Source: Verizon). While this number may be alarming, this has more to do with the fact that the larger-scale companies are more likely to have robust security than smaller companies. Many of these smaller companies simply do not have the means for a proper defence to combat advanced cyber threats, which contributes heavily to these cybersecurity statistics. Cyber attacks vary in sort and severity, but they can be absolutely devastating, especially for small business owners. According to Small Business Trends 43% of cyber attacks are targeted at small businesses. It makes a lot of sense that the little guy is targeted so often. While the benefit of such an attack for the hacker is relatively small, it is much easier to pull it off. Many small businesses have minimal security infrastructure, making them easy prey for data predators. Considering the number of cyber attacks per day, quite a few of those get targeted. Around 50% of the risk companies face come by way of having multiple security vendors (Source: Cisco). Internet of things (IoT) attacks were up by 600% in 2017 (Source: Symantec). Nearly everyone has a smartphone now, making hackers and cybercriminals have a greater choice of targets for attack. 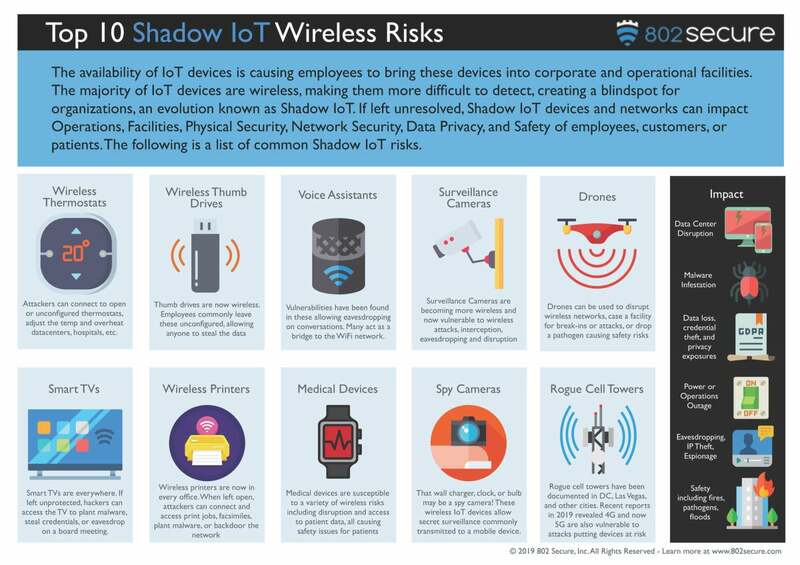 A portion of the rise could be attributed to the increased number of IoT devices, but the greater issue is that security doesn’t keep up the pace of the growing threats. 31% of organizations have experienced cyber attacks on operational infrastructure (Source: Cisco). Perhaps the more concerning side to cybersecurity statistics, in general, is the number of incidents that have gone unreported. Speculation would lead one to believe that the figure of 31% is significantly lower than reality. Whatever the case, this is an important figure to be aware of as it shows at the very least that hackers are proficient in finding the correct target. Distributed Denial of Service (DDoS) attacks account for 5% of monthly traffic related to gaming (Source: Cox BLUE). This attack attempts to disrupt regular traffic to the desired web endpoint. Video gaming is a popular place for these attacks to occur because there are predictable and specific endpoints for most devices. Just 38% of global organizations claim that they are equipped and able to handle a complex cyber attack(Source: IBM). Perhaps one of the most alarming cybersecurity statistics on this list is the understanding that 62% of global organizations cannot claim that they are equipped to handle a cyber attack. This void will lead the charge for improved cybersecurity in the future. Malware is by far the most common type of malicious internet activity. Over 24,000 malicious mobile apps are blocked from the various app stores each day (Source: Symantec). $2.4 million is the average cost of a malware attack in 2017 (Source: Accenture). One of the most prevalent attacks comes in the form of malware. Malware can cripple entire systems or even render them useless. A successful malware attack resulting in a cybersecurity breach can crumble an entire company as well as ruin its public reputation. There was an 80% increase in malware attacks on Mac computers in 2017 (Source: Cisco). Mac computers have always been renowned for their threat security. As far as out of the box security goes, Mac has been the gold standard for quite some time, but things seem to be changing. Malware statistics point to an astronomical increase that raises a few eyebrows. Is it possible that cybercriminals have found new vulnerabilities? 13. 75% of the healthcare industry has been infected with malware at some point in time (Source: CISION: PR Newswire). The healthcare industry accounts for the most records lost. This has to do with many factors including outdated systems, lack of training, and substandard protocols. In short, healthcare providers are an easy target with a lot to offer to potential criminals. It is no wonder why this industry is so often a target of large scale cyber attacks. Around 60% of malicious web domains are associated with spam campaigns. (Source: Cisco) For some reason I find it concerning when a company tells me to check my spam folder. The spam folder is where many people get taken advantage of. Spam campaigns attempt to send the user to insecure or malicious domains in an attempt to mine data. 15. 38% of malicious files came in formats used by the Microsoft Office suite of products (Source: Cisco). Microsoft Office is one of the most familiar sights in a modern working environment. Cybercriminals use these formats for their malicious files in attempts to lure unsuspecting victims into thinking it is just a simple spreadsheet or report. This is valid not only for recent cyber attacks, as executable files masked as harmless, but well-known files are also a popular digital bait for years now. Security specialist is one of the most promising career choices in the IT sector. There are over 300,000 unfilled cybersecurity jobs in the United States, with the demand rising each year (Source: Cybint Solutions). If you are a college freshman deciding on a major, then cybersecurity might be an attractive option. Not only are there plenty of openings, but the demand is expected to rise at an unprecedented rate. There are plenty of jobs available in tech nowadays, but perhaps none are as vital than as security. The next few cybersecurity stats show just how pressing this need may be. By 2021, the number of unfilled cybersecurity jobs is expected to balloon to 3.5 million (Source:The Hill). Cybersecurity job postings are up 74% over the past five years(Source: Cybint Solutions). This though is the (only) silver lining to these attacks. Many young people will be able to find gainful work in the cyber security sector. The unfortunate reality is much of this will be in response to attacks that will take place, and that there will be many more data breaches affecting millions of people within the next few years. Data breach statistics don’t suggest that the need for experts in the field will be lessened any time soon. Cybersecurity expenditures are expected to rise above $1 trillion by 2025 (Source: Cybersecurity Ventures). Once again, just like the jobs figures, this points to a very secure future for those pursuing a career in cybersecurity. The question remains if these expected expenditures will be enough to prevent data breaches or at least bring them down significantly. The annual cost of cybercrime damages is expected to hit $6 trillion by 2021(Source: CyberSecurity Ventures). The rate of these crimes is only expected to increase. Criminals are finding increasingly clever and diabolical ways to get their hands on data. This, coupled with the projections for further data breaches, spells an unwelcome story going forward. Some estimates have the number as high as $10 trillion. In this context, whatever the cost of cybersecurity may be it seems like a worthy investment. 65% of companies have over 500 employees that have never changed their password(Source: Varonis). I believe most people are guilty of not changing their password often enough. This is just making it easy for would-be cybercriminals to have easy access to sensitive information through compromised passwords. An easy solution to these problems is an automated system that requires employees to regularly change passwords. Many such programs are free and easily implemented by IT professionals. Ransomware, especially with the advent of cryptocurrencies, is an increasingly popular way for hackers to make money. Ransomware attacks are growing more than 350% annually (Source: Cisco). A ransomware attack is designed to hijack the targets’ systems and hold them hostage in exchange for certain demands. These attacks are particularly effective and growing in number as the data from Cisco shows. The increase in cyber attacks is bound to continue in the foreseeable future. The damage costs of ransomware will rise to $11.5 billion in 2019(Source: Cybersecurity Ventures). Once again, ransomware holds data and entire systems hostage until demands are met. Independent risk evaluators postulate that compliance with the perpetrator leads to greater security vulnerabilities and greater total loss. A business falls victim to a ransomware attack every 14 seconds(Source: Cybersecurity Ventures). Something that differentiates cybercrime from any other kind of crime is the automation that can be deployed by perpetrators. Automation allows for cyber attacks to be deployed simultaneously and relentlessly. Failed attacks can be tried again almost infinitely. The number of cyber attacks each day keeps going up. Automation may also be the key to protection from these types of attacks, but for now it is not yet clear how to utilize this technology. As the stakes get higher and cybercriminals become more aggressive, the incentive to develop a solution will rise as well. Of all files, 21% remain completely unprotected(Source: Varonis). This isn’t as startling of a revelation when compared to the other cybersecurity stats, but it is an alarming number of unprotected files. Of course, just because a file isn’t protected, doesn’t mean it’s accessible. Reported system vulnerabilities went up by 16% in 2017 (Source: Varonis). The full reports for 2018 have not become available at the time of this writing, but early indications have this figure even higher over the past year. As tech evolves, most do not upgrade immediately. Older systems have different security vulnerabilities. If these are not addressed in a timely manner the systems are exposed even more with every passing day. 95% of data breaches have cause attributed to human error (Source: Cybint Solutions). With a large data breach, all eyes and fingers begin pointing to the IT department. The fact of the matter is these data breaches can very rarely be attributed to the folks over in IT. Information technology security breaches are few and far between. User error or actions that fall outside of IT recommended behavior will always cause more problems than just following the guidelines set by the IT department. Phishing mail, just like the popular hobby with a similar name, is extremely common and simple. 30% of U.S. users open phishing emails(Source: Verizon). Unsurprisingly, phishing attacks make up a large amount of cyber security incidents. It is quite likely that most of us have opened phishing emails at some point in time. Kaspersky’s anti-phishing software has caught hundreds of millions of them every year. 12% of those who opened phishing emails later opened the infected links or attachments (Source: Verizon). In the last year, 76% of businesses reported that they had been a victim of a phishing attack(Source: Wombat). Phishing attacks are the most common cyber security attack. This type of attacks are a big part of why there are so many compromised passwords. If you check your spam folder in your email, it is more than likely that you will find several of them. If a phishing emails makes it past filters into the inbox, to the untrained eye they will seem like legitimate messages that can be trusted. Information technology systems at University of Albany have been targeted with cyber-attacks. In the space of two weeks, UA systems experienced a total of 17 distributed denial-of-service (DDoS) attacks, with threats as recent as Feb. 19. DDoS attacks flood a network with malicious requests, disrupting the normal flow of data between servers and legitimate users attempting to connect. These attacks have impacted the availability and functionality of several UA IT systems, particularly Blackboard. According to Manjak, neither the integrity nor confidentiality of university information has been compromised. Manjak said he believes the attacks may be related. However, no one has claimed responsibility and no motivate has been identified. “All we know is that the resource being targeted is Blackboard,” Manjak said. Computers on UA’s network, like those in the library, were not affected by the DDoS attack. However, students and faculty using their own devices were unable to access Blackboard. Members of the UA community received two information security alert emails from Manjak about the attacks, one on Feb. 5 and the other on Feb. 18. “Communication is sent to the University community when we identify an active threat that has the potential to impact the entire campus,” Manjak said.